According to the Bureau of Labor Statistics, the average real estate agent salary is around $46,000 a year. That said, with the right experience and real estate marketing strategies, many agents are to bring in upwards of six figures. One key to earning more as a realtor or real estate wholesaler for that matter is learning how to quickly draw the perfect buyers to the right property. But it’s also important to market yourself as a real estate expert specifically to buyers who are looking for guidance. Ready to learn how to take your real estate career to the next level? Check out these four tips to get started. Every real estate agent and real estate investor should have a website where prospective clients can go to learn more about them. This website should include contact information, lead generation forms, and information about your areas of expertise. For instance, if you specialize with first-time home buyers or luxury homes, you should highlight this on your website. It’s important for your website to not only have a nice design but to be inviting. In many cases, your website will be the first impression that you make on prospective customers. Make sure that it puts your best foot forward and makes an argument for why you are the right choice for them. In digital marketing, you will often hear the phrase “content is king.” There are a few reasons for this. For one, content helps with your search engine optimization (SEO). The more content you have, the more keywords you can put on your site. This makes it more likely that your site will be relevant to queries customers are searching for. Not only that, but high-quality content raises the overall authority of your site in Google’s ranking. And, if you publish informative content, people will read it and share it with their network. This will help grow your platform. 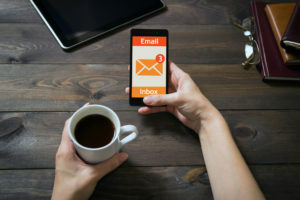 Sometimes, new marketers assume that texting and social media have made email marketing obsolete. In reality, nothing could be further from the truth. For instance, email messages are six times more likely to get clicks than tweets are. This makes email a valuable tool for reminding your prospects of your agency and for building brand recognition. There are several strategies you can use to build your email list. Always make sure to include an email signup at open house events. Also, keep past clients on your email list, as they may be able to provide referrals in the future. While online marketing is important for real estate agents, it’s also essential to make a good impression when you meet clients and prospects in person. Always be dressed professionally when working and try to set yourself apart by sticking to a specific style. Remember that the job of a real estate agent is slightly different from the typical salesperson, so you’ll want to focus on building conversation and rapport. With these tips in hand, you will be able to build a real estate marketing strategy that will accelerate your career. Need more helpful tips and advice? Contact me with your questions regarding real estate, digital marketing, and entrepreneurship. Using Just A Website And Proven Technology That Can Quickly Find Every Vacant House, Motivated Seller, & HOT Deal In Your Market! Are you looking forward to starting your adventure in real estate investing? Despite the fact that there is a lot of money to be made in real estate, many investors lose money. In fact, 12% of flips sell at breakeven or loss after expenses. Like any business, investing requires a set real estate strategy to help you avoid mistakes. Read on for the top 5 real estate strategy mistakes investors need to avoid! While you might think pre-qualification is only necessary for first-time home buyers or inexperienced investors, that is not true. Visiting with a broker or bank will help you determine how much you can borrow. Knowing your loan amount will help you plan what types of properties you should be searching for. You don’t want to lose a great deal and your deposit due to lack of proper financing. Whether you’re investing in one market or doing a mix of residential, commercial, wholesaling real estate, or other verticals, having a firm understanding of your market is crucial to your success. Build up a solid local team with experience that can advise you on where and how to invest. Don’t go into real estate alone. Leverage the experience of your team instead! Real estate investing is all about positive cash flow. While it might be tempting to buy that beach house you’ve always wanted if the rent doesn’t cover the mortgage, tax, insurance, utilities, and any other expenses, it’s just not worth it. Always run the numbers on each property you’re looking at to ensure it will be a good investment with a solid return. To make your life easier, consider using a spreadsheet template to help you do property analyses. Speaking of spreadsheets, failure to keep track expenses, revenue, partnership documents, and contracts is another big mistake that real estate investors make. Keep these documents separate from personal bank statements and files. 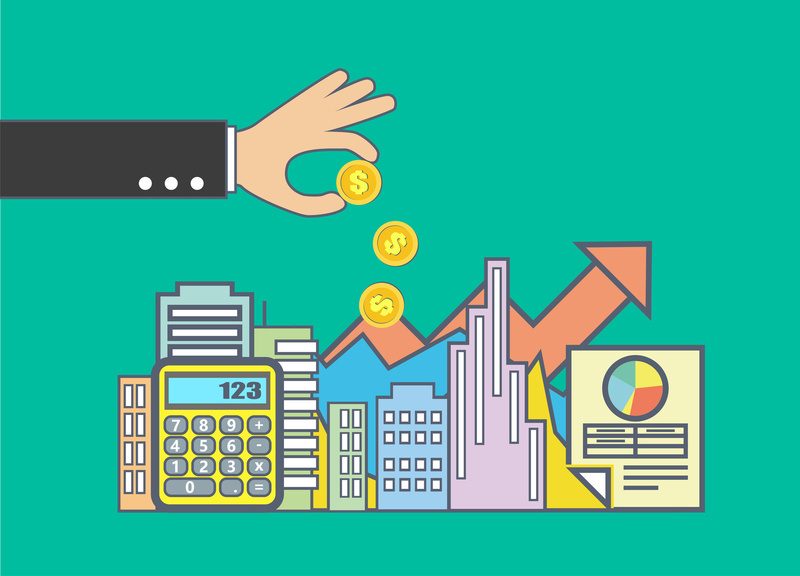 Remember that your investing journey is a business and you should treat it as such! When you think you’ve found a winning property and you’re ready to settle, don’t skip the home inspection and invest on good faith alone. A professional home inspector will do a detailed analysis of the property and give a full report on the condition of the home. A home inspection can reveal issues like damaged pipes, faulty wiring, foundation issues, and more. An inspection can save you a lot of money come settlement or neglecting an inspection could cost you a fortune in repairs and maintenance. The choice is yours! How Does Your Real Estate Strategy Look? Investing can be an incredibly lucrative venture if you avoid these 5 real estate strategy mistakes! 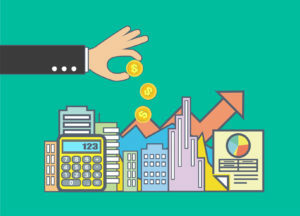 Starting off your investment journey on the right foot is crucial to your success! Have you come across any mistakes we didn’t mention that affected your real estate venture? Let us know in the comments! Still need help planning your own real estate strategy? I’m here to help as best I can, so feel free to contact me directly! Email marketing is huge in the digital age. Not only is it a great way to inform people and spread your message, it’s also a great way to make money. For every dollar you spend on emails, you can expect to make $38. 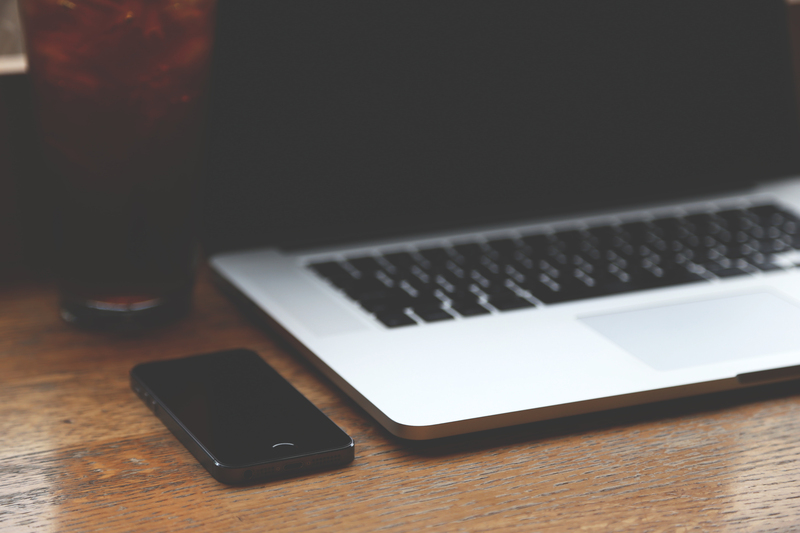 So how can you leverage emails as a real estate professional? Read on for some email marketing tips to get you started. Most people who will receive your emails aren’t excited to grab a bowl of popcorn, sit down, and read a real estate newsletter. They might open it and see if there’s anything interesting, but don’t expect to have a hold on their eyes for long. You need to create your emails with this reality in mind. There are a few ways to craft messages for readers with a less-than lengthy attention span. The inverted pyramid is a writing style commonly used journalist and public relations professionals. The technique first rose to popularity after the invention of the telegraph. The new machine made sharing news faster than ever. But at the high cost of a penny per character, the long-winded writing styles of the day were cut down. In its place was the inverted pyramid. In this style, the most important details were loaded at the top of the article in the headline and lede. Other less important information was added later to fill out the story. By writing with the inverted pyramid in mind, you can ensure your readers are getting your main message up front. Many readers prefer to scan articles and emails rather than read every word. Readers gloss over big chunks of text. They levitate toward shorter sentences, pull-out quotes, and bullet points. They also look for bold headers and dividers to understand where they are on the page. Write for skimmers, and they’ll retain more of the information you want them too. Your ultimate goal is email marketing is to gain some new clients and generate some sales. In other words, you want something from your readers — namely their time and money. To earn these valuable things from your audience, you need to give them something of value first. Blasting out emails that include nothing but sales pitches is a great technique to get your emails sent straight to the trash bin. You need to develop high-quality and useful content give to your readers through your emails. Ideas include tips for flipping a home, interior design guides, or the latest news affecting the housing market. Get creative and show off your knowledge and experience. After providing value to the readers, it’s finally time to ask them for what you want. But they can’t help you out if they don’t know what you want them to do. Make sure to include a call to action in every email. You might ask them to visit your website or to sign up for an event. Without fail, always include your CTA. 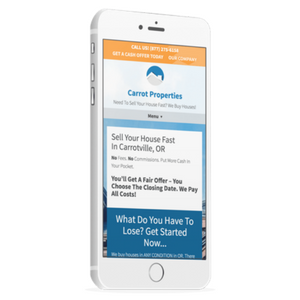 As a real estate agent, great emails and newsletters can put you on top of your competition. For more email marketing tips and other ideas for selling properties and promoting your brand, check out our blog. In real estate copywriting, you want to do two things; keep the person reading and inspire the reader to act. Convincing someone to act through a phone or computer screen is much different than selling in person. A majority of communication is non-verbal, so people rely on your tone, body language and dress much more than what’s said. How can you make up for that difference? Great copywriting. That’s true for sales flyers, property descriptions, your agency’s website, and your bio. Read on for tips to make your copywriting shine. In real estate copywriting, always start with who is going to read the copy. Who are they? What are they looking for? The needs of a family of four are going to be different from the needs of a single first-time home buyer. You want to be able to speak directly to their needs. Put yourself in a buyer’s shoes. Why would someone want to live in a particular neighborhood? What are the unique characteristics of the home they would find appealing? Think of yourself as the ultimate problem solver when you write. The buyers have a need for a particular home. Hopefully, it’s a perfect match with the home you’re flipping. As you describe the home, explain how it will solve their issues and it really is their dream home. Advertising legend David Ogilvy often said that 80 cents of every dollar spent on advertising is in the headline. Why is the headline so important? It’s what keeps people reading. Not only that, but a headline can also change how you think. You want to tell people why they need to keep reading in 8-12 words. Using numbers is effective. Use subheadings to keep people reading. Most people scan content. They’ll quickly scan the headline, then scan things like bullet points and bold text that stands out. How much of your writing ends with just a description of a home or of your agency? Maybe there’s your contact information. If that’s where your real estate copywriting ends, you’re missing out on opportunities. Most businesses assume that people will call or fill out a contact form. That’s not the case. People need to be told what to do. That’s just human nature. When you write a call to action, it’s more effective to tell someone what they are doing than being generic. Creating curiosity in your text is also a way to get people to act. Your call to action needs to be clear, compelling and create curiosity and a sense of urgency. 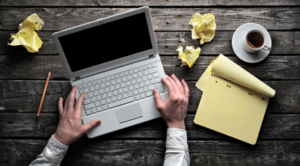 Now that you know the top ways to improve your real estate writing, you can work that into every aspect of marketing – SEO, lead generation, content marketing among them. If you don’t have a proper marketing strategy in place, I can help. I offer a 60-minute coaching session to help you dominate your market. Schedule your call today. As of now, Facebook has over 2 billion unique users. That means you have a greater chance than ever to reach new clients. And if you’ve spent more than a few minutes perusing Facebook, you may have noticed ads on your timeline. When used well, Facebook ads can boost brand awareness and increase visibility. But how can you make sure you’re using the ads to their fullest extent? Read on for 5 great tips on mastering real estate Facebook ads. Every form of promotion needs a direction. And to make sure you don’t waste your time and money, come up with a strategy and set of goals beforehand. You’ll want to make sure it’s manageable, too. It’d be great if you could pull in 100 new clients, but 15 or 20 seems far more likely, doesn’t it? There’s nothing wrong with starting small. In fact, it’ll help you get a feel for Facebook ads without spending too much money. Your goal is going to be your driving force throughout the promotion. With a goal in mind, it’s time to start thinking about who you’ll want to advertise to. Here’s where things get interesting: real estate Facebook ads get specific. And we mean really, really specific. You can target potential customers based on factors like age, gender, and location. Here’s where things get interesting. You can target a real estate Facebook ad to more than just the Richmond area: you can target it to a specific neighborhood. This is a bit broader than you’ll want. It shows everyone who has ever updated a status or liked something in the area. People who live in the area according to Facebook’s device and connection info. This goes for the entire city or just a few blocks. We weren’t kidding when we said Facebook advertisements could get specific. But while this may sound too good to be true, we promise it’s legit. Facebook has data that can determine who is more or less likely to move. This could be based on likes, time spent in the city, or even certain phrases in a status update. Here’s a quick tip: look for customers who have liked real estate sites in the past. It can be a local agency or even a site like Zillow or Realtor.com. Finally, now that you’re using great tailored real estate Facebook ads, you’ll want to see how they’re tracking. And while Facebook doesn’t have the most robust set of analytics, it’s enough to give you a clear picture of how you’re doing. When it comes to marketing, you can’t just set it and forget it. Regularly check up on how your campaign is performing. What’s working? What needs improvement? Dissecting a campaign is a great way to determine the health of your ads. Using Facebook ads may take some getting used to, but it’s hard to argue with their effectiveness. Between the sheer amount of customization and the in-site analytics, it’s a great solution for an agency of any size. Also look into retargeting visitors that go to your real estate website. You can do that with a simple pixel that is Facebook provides. This is an excellent strategy to stay in front of your audience and to re-engage them down the road. If you need help leveraging your data or just want to get the word about your agency, get in touch! We’d love to offer a helping hand. Whether you need coaching or SEO solutions, we’re here to help you get the results you’re after. Many people find selling wholesale properties an attractive business because you don’t need a lot of cash up front. In most cases, putting up the earnest money of 1%-3% of the selling price gets the house under contract. Take a house priced at $30,000. You invest $300-$9000 and you’re ready to wholesale the property. Of course, the low cost of entry is only part of the equation. 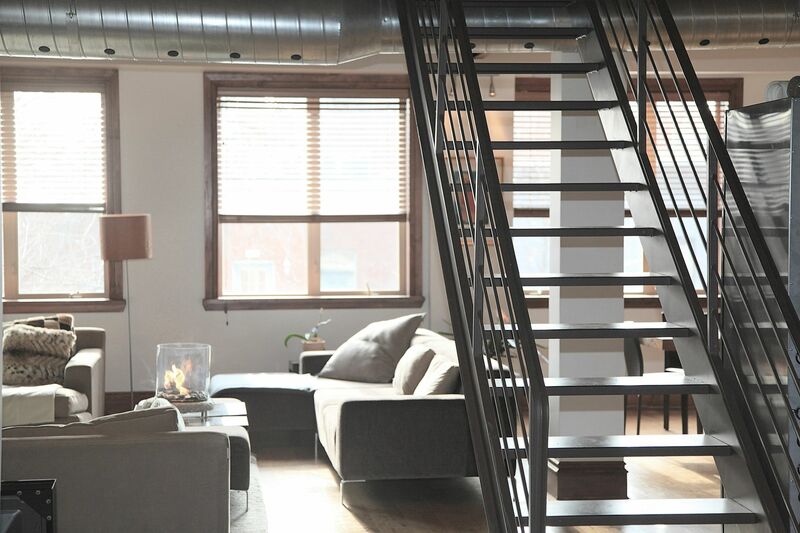 There are some other things you need to know when you start wholesaling properties. Selling wholesale properties usually follows a predictable pattern. You find a property that could be sold for a substantially higher price with some work and put it under contract. Make sure to include a clause in the contract that lets you abandon the deal if you can’t find a buyer. Then you add a modest markup to the price and market it to cash buyers. When you strike a deal with a buyer, you assign the contract to that person with the markup as a fee. The buyer purchases the property and you keep the fee as profit. Some well-funded wholesalers prefer to buy the property outright and then resell it an investor. For many new real estate wholesalers, finding properties is a serious challenge. The ideal situation is finding off-market properties. These properties aren’t listed, but the owners want to sell. You have several options for finding these properties. You can send out small batches of direct mail postcards to people in bankruptcy or foreclosure. You can drive through neighborhoods and look for distressed homes. Distressed homes often indicate the owners are in financial trouble and might be ready to sell. Network with people in related industries, such as contractors, lawyers, and property managers. They will often know about available but unlisted properties. Securing the contract won’t do you much good if you can’t offload the property to an investor. You need to develop a list of people that you know are regularly interested in buying wholesale property. One approach is to use bandit signs posted in the neighborhood. These signs say something like “Cheap Home,” the selling price and your phone number. People who respond are often good candidates for the list. Networking events with a focus on real estate are usually packed with good candidates for your buyer’s list. Just be sure to make careful note of what kind of properties interest each person. Another option brings us to our next topic, which is leveraging the Internet. Getting yourself set up with a professional website makes it easier for sellers and buyers to find you. That cuts down on your legwork and speeds up the deal-making process. The trade-off is that you need to invest time in marketing the website. You can achieve some of that through inbound marketing, such as blogging, search engine optimization, and webinars. You can also develop social media profiles that function as lead generation tools. The key to good inbound marketing is to keep the content customer-focused. For example, you could talk about architectural styles in your market or what makes for a good investment property. Pay per click or PPC advertising offers an alternative way to get your name in front of potential buyers. Just be aware the costs can be high for competitive keywords. You can make a good living selling wholesale properties, but it takes work. You need to develop a system for finding properties. A professional website and consistent marketing are necessities. You also need to build a buyers list. Real Estate Visionaries specializes in helping people develop online marketing for real estate. If you haven’t been seeing the online results you want, check out our coaching call. Are you struggling to drive more traffic to your real estate website? If so, you’re not alone. Real estate SEO is a challenging world to navigate. And with so much competition out there, building a high-performance website is more important than ever. A recent survey states that 95% of home buyers use online websites in their search. If your website doesn’t stand out from the crowd, you’re missing out on valuable opportunities (and sales). How can you improve the performance of your website? What are some strategies you can use to turn your site into a lead-generating machine? In this post, we’ll reveal 10 real estate SEO strategies guaranteed to drive more traffic to your site. One of the best ways to boost real estate SEO is to add a blog to your website. It’s not enough to write whatever comes to mind that day and slap it on your site. You must create original, well-written content that has value for your customers. What should you blog about? You might start with fun things to do in your locale or unique features of the neighborhoods you represent. Tell newcomers why your city is so great and what they’ll love most about living there. You should also blog about properties you’re especially keen to sell. Use the property’s address for the keyword and use it in the content, meta description, and photo tags. In addition to the home’s standard description, write a few hundred words about its best features. There’s nothing wrong with creating a website that looks beautiful on a computer screen. But if your site isn’t optimized for mobile visitors, too, you’re missing out. Over 52% of users access the internet from their mobile device. For this reason, your site must include responsive design so it works well on all devices. With these thoughts in mind, you can create content that’s fast and easy to find on a mobile device. 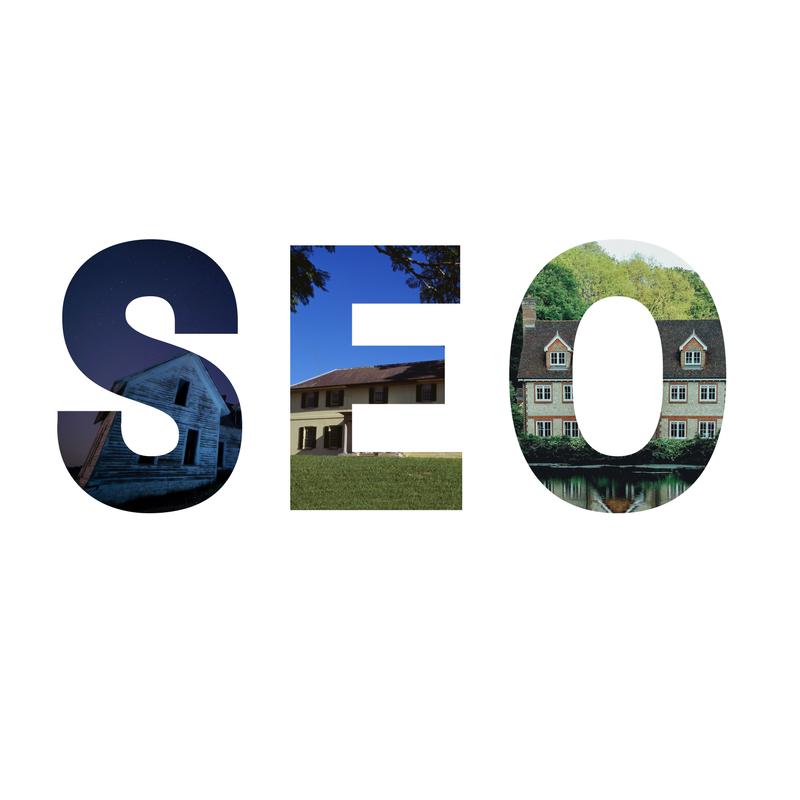 If you want to master real estate SEO, you need to research and use effective keywords. To start, you must hone in on keywords that people are searching for. You can do this through Google’s free Keyword Tool or by using Google’s “suggested searches” feature at the bottom of the results page. On your agent or real estate investor website, you should have more than just current listings. You should also feature helpful information for newcomers to the area. This might include information on schools, crime rates, and public transportation. Once you’ve mastered real estate SEO, you can start to branch out to broader and more competitive keywords. Keywords are a vital part of real estate SEO. But if you don’t know how to use them, they won’t be as effective. A common mistake is to “stuff” as many keywords as possible onto each page. This can actually hurt your real estate SEO, as Google can flag your site for keyword stuffing. Instead, aim for a keyword density of 1-2%. For a 1,000-word post, this means your keyword should appear 10-20 times. Any more than this could not only get you flagged, but it also looks forced and unnatural. Alt Tags on Photos: Include one or more keywords here. Content: Aim for 1-2% keyword density. Keep in mind that Google is also getting smarter about similar keywords. As an example, Google reads “Orlando homes” and “Orlando houses” as synonymous and will show both in the search results. You can write thousands of words describing a house, or you can upload high-quality photos to speak for you. The phrase “a picture is worth a thousand words” is especially true of real estate websites. In general, the more photos of the property you upload, the better. A word of caution, though: Better to have a few high-quality photos than 50 low-quality ones. Any photos you include should be clear, sharp, and well-lit. Another popular trend in real estate is a video tour. Offer prospective buyers a sneak peek through a well-made video tour of the property. Does this really work? One real estate group reports that listings with videos receive 403% more inquiries than listings with no videos. Your video tour isn’t limited to the property itself. You could also make videos about local neighborhoods and their best features. Geotag your videos, upload them to YouTube and Google+, and include links back to your website. You may also want to include brief video interviews with new homeowners. 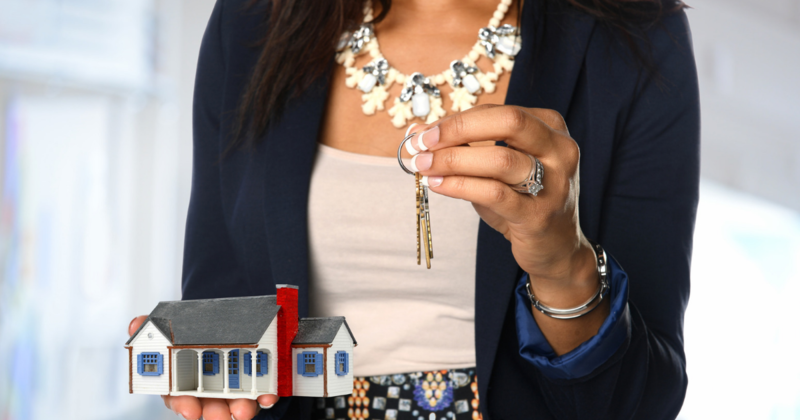 When you hand them the key to their new house, they may happily provide a short testimonial for you to use on your website. Real estate agent directories receive an incredible amount of traffic. It’s well worth your effort to get your business listed in them. A few of the most popular ones are Trulia, Zillow, RedFin, and Homes.com. Review sites are also an excellent place to generate leads. Make sure you’re listed on sites like Yelp and Google Reviews and check frequently for new entries. You might also consider following up with clients and asking them to provide a review on one of these sites. Whether you run your own company or you work for a real estate agency, chances are you already have a bio page. This subpage may not rank highly as a local keyword, but it’s a great place to optimize your name. People will Google your name, so optimize your bio with this in mind. If possible, include your full name in the page’s title tag and meta description. You might also list your contact information and a link to your personal website if you have one. Google trusts sites that show a lot of social media activity. 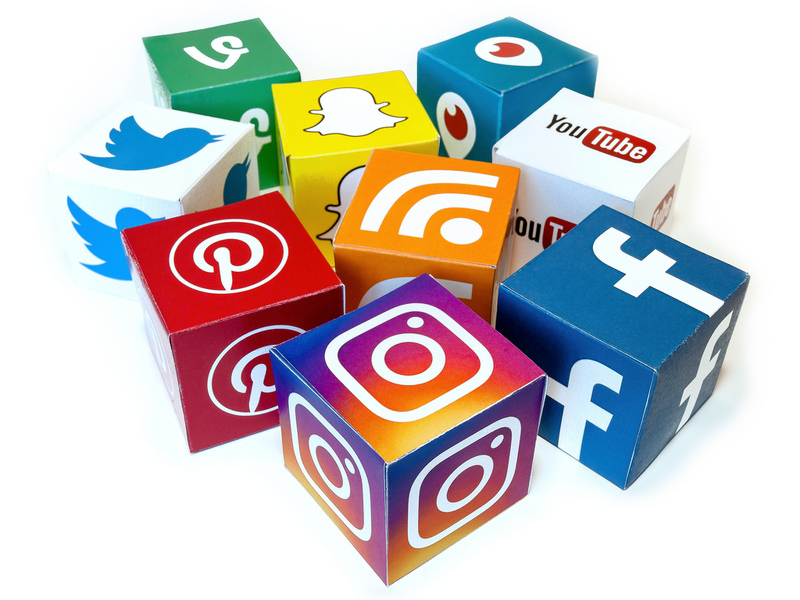 To maximize your real estate SEO, you need to be active on all major social media outlets. If you don’t already have one, start by creating a Facebook page for your business. You should also have accounts on Instagram and Google+ and join local community groups. While Twitter doesn’t directly affect your SEO, it’s one of the best channels for driving new traffic to your site. Because of its visual nature, Pinterest is a potential gold mine for real estate agents. Pinterest boards rank highly on Google searches, so the more boards your pins show up on, the better. You can also include backlinks to guide viewers to your website. Science confirms that people now have a shorter attention span than a goldfish. This means you only a have a few seconds to capture and keep a visitor’s attention. Site speed is a critical factor in SEO rankings. Not only does a slow site create a poor user experience, but it makes it difficult for search engine bots to scan your site. This results in lower rankings and less traffic. One of the easiest ways to improve your site speed is to optimize your images for faster loading. The quicker your site loads, the longer users will linger. Our final real estate SEO tip is NAP consistency. No, we’re not talking about a midday siesta. NAP refers to the name, address, and phone number of your business. To improve your real estate SEO ranking, you must ensure that your NAP shows up exactly the same everywhere it’s listed. Check your business listing on directories and review sites for misspellings and inconsistencies. For example, “Street” is not the same as “St.” Choose one or the other, and make it the same everywhere. By utilizing these strategies, you’ll soon be driving more traffic to your real estate website. Are you interested in more ways to optimize your site? At Real Estate Visionaries, we offer one-on-one consultations to help you build your brand. We invite you to contact us for more information or to schedule a consultation. With technology growing daily, real estate companies and firms all over the world are faced with one of the most challenging business processes: marketing. With so many opinions out there, it can be stressful to decide which lead generation tactics are best for your unique style. Is it worth the time and effort to put forth a killer email newsletter each month? Is anyone going to read that amazing blog post from you, resulting in your contact form being filled out? The simple answer is yes. In fact, it is time to get back to the basics of your lead generation. Here are five real estate lead generation tactics that you simply cannot ignore. Your website is the most important “property” you will ever own as a real estate professional. In fact, 90 percent of home buyers use an online search at some point to find homes that fit their bill. What they see in their search engine as well as what they see when they make the click is extremely important. You may already be familiar with the importance of high-quality, genuine and share-worthy content on your website. If so, you may already have all of this in place. If you do, it is time to use this content to generate leads by adding forms. All of these options create an influx of leads that come directly to you. They come complete with demographic information and the golden email address. This kind of data simply cannot be purchased. Forms can be (and should be) added to your blog, your home galleries and other pages. This means they can’t just stay your contact page. How do you get that form filled out by that viewer? I’m glad you asked. A blog post that is optimized correctly and worthy of reading may bring home buyers to your website through that outlet. The chances of the viewer filling out that form increase by a ton if the content is up to par. The key is to remember that content should be seen as a high priority for your digital presence. Your digital footprint should include a professional website, a social media presence and content that blows your audience away. After all, an audience member that is moved to contact you by form is an audience member that can be a lead for the years to come. A human business card of sorts. Speaking of contact forms and newsletters, next on our list is smart email marketing. This is not just simply sending out a newsletter each month to your entire email base. Instead, this is being smart about your leads: treating them as unique. Email segmentation is the process of adding contacts to marketing campaigns that are the best fit for the lead. And so on. The segmentation is up to you. However, the importance of this lies in your ability to properly speak to your leads, creating email campaigns that actually work. How do you measure a lead’s hot or cold status by sending them irrelevant emails that they will not open regardless? Instead, you send them relevant content and measure the results after. This type of email marketing will help you further segment your leads into groups that are hot and groups that are a bit colder. This will further your lead nurturing efforts. It may seem as if blog content and emails run the gamut in the marketing game. However, for real estate agents who sell homes, this couldn’t be further from the truth. Blog content and email content is obviously important. The same is true for multimedia marketing including photography and video. Are you using videos to show off those amazing properties to home buyers or simple photos? You should be using both. YouTube has over a billion users, almost one-third of total internet users. And one-third of online activity is spent watching a video. With stats like that, your real estate business should be investing in high-quality video. Buyers are looking for homes they can visualize themselves living in. They want to see what their money will be investing in. The best way to help your buyers visualize the property is to show them in real time. Videos can do more for you than show off your beautiful properties. 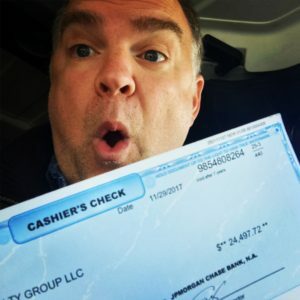 Viewers are trending towards videos that show the human side of their realtors, including vlogs that show the inner workings of the agency to life outside of it. Along these same lines, videos of your happy homeowners that have purchased a property from you add a sense of realness and confidence to your firm. Creating content that a viewer can connect to is the ultimate marketing tool and will help you grab the most leads. The list of lead generation tactics is incomplete without the mention of social media ad campaigns. After all, the real estate market is a visual market. Have you ever tried to explain a property using just words? Social media ads are a great way for your leads to get instant gratification in the form of a visual. Better yet, these ads are fully targeted to the demographic searching for your listing. The ad doesn’t stop there. Instead, you can use social media ads to advertise events, featured listings, a newsletter, special offer and more. Your audience can simply click the ad and be redirected to your business page, website or contact form for more information. The lead is almost instantaneous. The click rate lift for using a call to action button is 2.85X. The average Facebook advertising revenue per user for the US is $8.26. There are 1.39 billion active Facebook users per month. 94% of marketers use the Facebook platform for lead generation tactics. Since 66% saying it is effective, the odds are in your favor. This type of lead generation combines ad creation skills that you already possess and are probably already invested in with the mobile universe. If you are going to put into play all of these lead generation tactics, it is important to know that the leads will come in fast. So fast in fact that your ability to keep up with the leads in the correct way will be impossible organically. The best way to keep up is to automate your lead generation tactics into one system that will manage them for you. It is simply bad practice to gain a hot lead, only to lose them by not following up or sending lead generation materials directly to them. No one wants to lose a hot lead. There are many different ways to automate your lead generation tactics, including the use of automation software. Automation software can be customized to fit your marketing needs. It can also give you alerts and an up to date report of your marketing status. Automation also gives you the ability to see more data than an organic system will. This includes seeing what marketing tactics are working, which ones are not and who you need to nurture. Automation can also help you view hot leads versus cold leads, set up email segmentation campaigns, drip campaigns and more, all in a user-friendly way. In order to avoid the mistake of a hot lead turned cold, it is important to look into automation for your marketing endeavors. As the proud owner of a real estate firm, marketing your beautiful properties is on the top of your business process list. Lead generation tactics are important for your marketing strategy and should be focused on to ensure a high rate of closing. This includes forms for contact, newsletters and more. They can be placed on your blog, website, social media, etc. Using email list segmentation to place your leads into categories to help enhance the click rate of your emails. This includes using video to showcase your brand, inside and out. Facebook ads are viewed by hundreds and thousands each month. They are an instant visual for your home buyers. 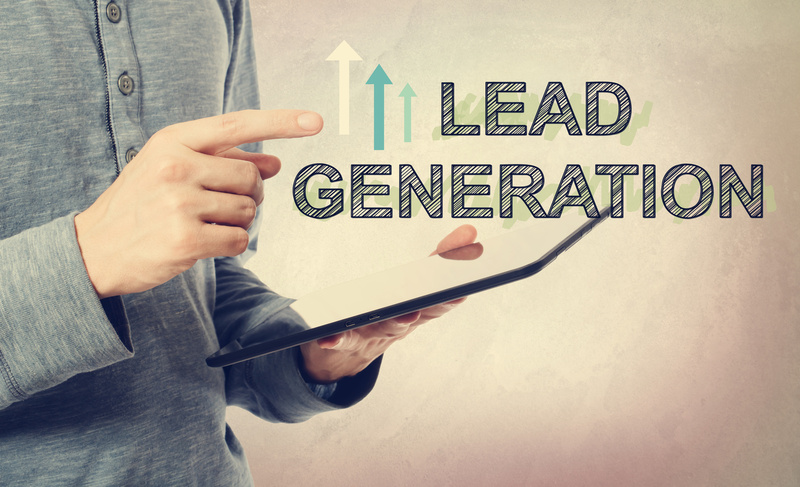 By automated your lead generation, you are able to keep hot leads hot by following up, sending direct marketing tools and more. Lead generation doesn’t have to be complicated. Get back to the basics with these five lead generation tactics that will change your marketing game. Real estate lead generation belongs at the core of any business strategy. Whether you’re looking for buyers or renters, you need to know who to look for to know what to do. Lead generation is something you need if you’ve invested in real estate. It’s the only way to turn investments into profits. If you don’t have a good lead generation strategy, you could be sitting on millions or even billions of dollars in potential money, lost to competitors with stronger strategies for lead generation. Any real estate investor worth a dime has mastered lead generation. If you don’t take charge, there’s no way to take on the best of the best. Here are 9 tips to make sure you’re at the top of your game and you’ll be generating leads in no time. Understanding who your clients are has benefits at every stage of the process. It will inform your decisions in terms of amenities, rent, and expected repair costs at properties. It’s always more expensive to have four college kids renting an apartment than a septuagenarian couple. Just as there is always a greater likelihood that a factory building gets damaged than a florist’s shop. But the first benefit (and the most important,) of knowing your client base is the benefit that knowledge provides for real estate lead generation. That’s because your renters are the focus of your marketing campaigns. Everything from where to put fliers to whether or not to significantly invest in online advertising is based on having an intimate knowledge of your client base. So take the time to do client research. Your website is your face to the digital world. In the early days of the internet, you could get away with having a poorly designed, weak, or tacky website and still be successful online. Looking at any notable business’ website in the Wayback Machine sheds a lot of insight into that fact. But looking at these websites, it also becomes obvious why we’re so amused and befuddled by these sites: there’s no way we, as consumers in 2017, would take them seriously. 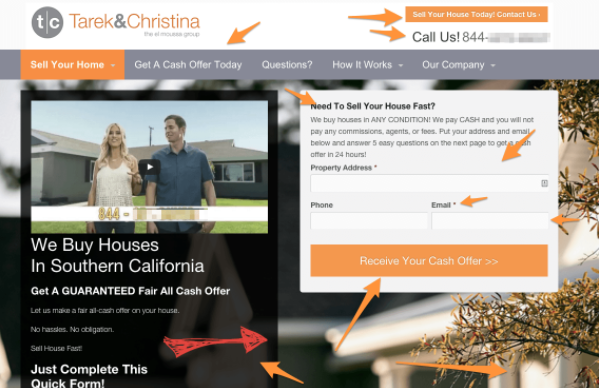 Today, even having a “just OK” website can kill your real estate lead generation potential. You need to have an exceptional website, something that lets you stand head-and-shoulders above the competition. Good investor websites rope in clients and are essential to real estate lead generation. The average person spends two or more hours per day on social media. In fact, the influence of social media on spending habits has caused websites like Facebook to integrate eCommerce tools into the platform. Though we haven’t yet reached the point of homes being sold and apartments and office space rented over Facebook, it has become abundantly clear that successful real estate developers must take advantage of social media. That means Facebook, Twitter, and Instagram should all be a regular part of your day. This is important for customers of all ages, but particularly essential if you’re looking to generate leads with millennials. Buying Facebook advertisements and having an active presence on social media should lie at the core of real estate lead generation online. Simply put, social media is where your clients are. That means social media is where you should be. Search engine optimization is an essential element of marketing for a real estate engine. If you aren’t dominating social media in your real estate market, you’ll be left unable to compete. How seriously do you need SEO? Consider this statistic: 75 percent of people searching for a given query never scroll past the first result. If you’re even the second result, that’s three-quarters of people who will never see you. If you’re on the second page? Enjoy the empty units, because nobody will find you. Get your SEO taken care of by seasoned professionals. SEO as a field is always changing: between the hyperactive rate of change among the big search engines and the marketing world’s gravitation toward one-upmanship, you can’t even count on the same strategy working six months in the future. People who work in the industry know how to navigate the complicated world of digital marketing. So hiring high-quality professionals to handle your SEO means you can rest easy with a dominant real estate lead generation strategy. You might not think video marketing has a place in real estate. But the use of video remains absolutely essential to generating leads. Something like a video tour offered circulated on social media and through email marketing can be the shot of adrenaline your real estate lead generation plan needs. Even going further, something that could attract the attention of potential leads is putting videos full of helpful apartment tips and “life hacks” on social media. These videos will get shared and can lead to a self-sustaining real estate lead generation strategy. So make sure you keep video at the heart of your strategy. Overusing PPC advertising can be bad for business. But using it to supplement your already strong SEO strategy can boost returns for your business. The key is making sure PPC is a small part of your real estate lead generation strategy and not the core of it; a weak strategy that relies too heavily on PPC will never compete with strong SEO. Though they could have a smartphone, they likely use it as a high-powered flip phone or camera phone. That is not to say this demographic is less sophisticated or intelligent: they just make decisions the classic way. That means searching for new homes in the newspaper. If your real estate lead generation strategy involves roping in second-time homebuyers, retirees, or selling luxury apartments you’ll probably want to use physical offline ads. That’s not to say you also shouldn’t advertise these properties online; on the contrary, that remains essential regardless of which other strategies you employ. Real estate lead generation involves casting a wide net and letting clients come to it. If you’re a real estate investor, you’ll want to have a great website and use a killer SEO and social media strategy. You’ll also want to put up fliers and buy newspaper ads. You never know where your clients might come from. Cold calling may seem like a primitive method of bringing in new prospects. But if you’re looking for people interested in buying or renting a home, it can be helpful to use a bit of cold calling to supplement your strategy. Every once in a while you should pick up the yellow pages and look for potential clients. This is particularly true if you are selling commercial or office space, where you are more likely to find business owners looking to relocate as a means of reducing overhead. This tip should not be taken as a main point of strategy: consider this a supplement to the hard work you already do finding clients on and offline. Once you’ve built a killer website, it’s going to be necessary to figure out what to do with it. Obviously, ecommerce and providing a good space for contact will be a part of that. But even more important will be keeping people coming in. Real estate lead generation means finding two types of leads: people who knew they were looking to get a space similar to the type you’re offering, and people who had no idea. 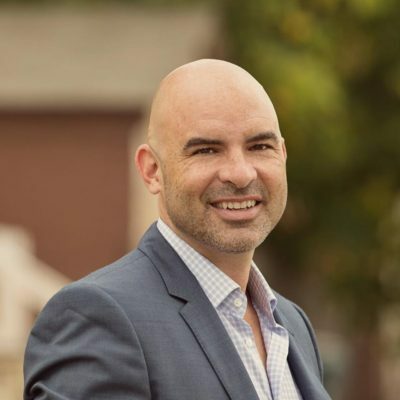 People don’t just stumble into the decision to buy a home or commercial unit, but they do stumble into the exact type they want. If you have an apartment or house that fits a certain look? Use your blog to advertise it. If you have commercial space in an up-and-coming neighborhood, some nearby business owners might not have known was a good place to build their store or restaurant? Blog about reasons that neighborhood is the next big thing. Blogs lead to readers, and readers lead to sales. Thus, a blog is the silver bullet of real estate lead generation. Real estate lead generation is a complicated endeavor. But if you’re a serious real estate investor, it is the only way to convert investments to profit. There are many avenues to doing this, and taking a one-size-fits-all approach is dangerous for business owners looking to succeed in a wide variety of customer segments. Looking for leads from multiple angles will be a very lucrative strategy. 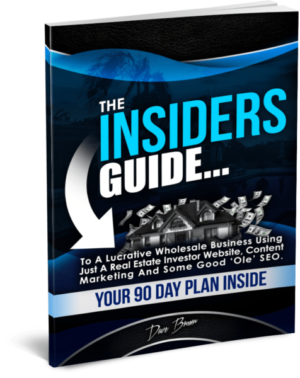 If this has you feeling a bit overwhelmed or you’d like more information on building a successful real estate lead generation strategy, check out this free guide to get high-quality training and start wheeling and dealing like the pros. A professional real estate website equals a professional service. That’s why you must aim to develop a user-friendly and aesthetically pleasing website. A home buyer is looking for a stunning design, insightful content and easy navigation. This will help to create a superb user experience that will ensure you stand out online. To help you become the competition, read our superb design tips to create the best real estate sites. Did you know that 60% of online searches are now on mobile devices? If you want to provide a fantastic user experience, you must have a mobile responsive website. If you don’t, not only will you annoy a potential buyer, but Google will penalize your website in the SERPs. And if you can’t rank in the search engines, you’ll never become one of the best real estate sites. A mobile responsive website will alter a website to suit a device, such as a mobile, tablet or desktop. A customer won’t miss any content or have trouble scrolling, as all the information will be in front of them. As a result, the improved experience can turn a lead into a conversion and reduce a bounce rate. Different property hunters will have different housing requirements. The last thing they will want to do is scroll through many properties that don’t match their needs. A home buyer will expect to find a customized search option to filter through properties. This will improve a navigation experience, and may turn a visitor into a potential client. It goes without saying you will want property hunters to find you easily online. Of course, it’s every real estate agent’s goal to make it onto the first page of Google. Yet, you won’t be able to so without embarking with search engine optimization. It’s important to develop a strategy that helps propel your website up the ladder. This means optimizing a website for specific regions and towns, as well as your name. It’s essential to optimize a website or your rivals may become tough competition. Most visitors don’t make it past the first couple of search engine result’s pages. If they can’t discover the website, you won’t receive much traffic – which will impact your turnover. For this reason, home buyers will want to visit your website to find images of their dream home. You must ensure a website can support high-quality photos in slideshows and listings. If a visitor can flip through many great photos with ease, they’re more likely to pick up the phone. Don’t underestimate the importance of showcasing the property’s best features, either. 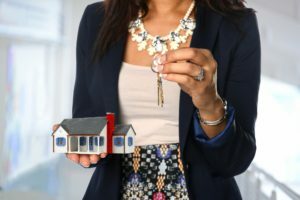 If you want to be one of the best real estate sites, you should highlight the home’s unique selling points. For example, does the property have a beautiful kitchen? Ensure you showcase it on your website. One high-quality photo could be all it takes to encourage a web visitor to arrange a viewing. If you really want to attract real estate clients, you should embed a virtual tour into a website. The video content will allow a home buyer to take a tour of the home, which could help make up their mind. If they like what they see, they’ll want to call you up right away for a real tour of the property. Only the best real estate sites are providing this superb feature. If it doesn’t, they’ll become frustrated and click away from your website. A visitor may believe a slow performing website reflects a slow-performing company. So the quicker the load time, the better they’ll perceive your brand and services. A real estate website will help to drive a considerable amount of business. For this reason, it’s important not to disappoint a customer before they’ve picked up the phone. Work with a skilled web designer who focuses on the user experience, as well as the aesthetics. Don’t overwhelm a visitor with too much information. You might have a lot to say, but there is a time and a place to say it all. Instead of filling a homepage with paragraphs of copy, write a blog to make it easier to absorb the content. The best real estate sites will offer informative blog posts to answer questions. A home buyer or renter will want to make an informed choice before investing in a property. A well-written, insightful article can help you become an industry thought leader. The more insightful the content marketing strategy, the more they will trust your services. Think about the types of content a customer would like to read. For example, property hunters might be familiar with the term “mortgage”. Yet, they may not know the difference between a “fixed rate” or “adjustable rate mortgage”. Your job is to provide them with the answer, as well as a call-to-action at the end of the post. By helping them to make an informed decision, they’ll be more likely to contact you. The best real estate sites feature a contact form. After all, the reason you created the website was to encourage people to pick up the phone or send an email. Yet, don’t ask too much of a visitor. They don’t want to spend half an hour inputting their age, gender, race or address. Keep the contact form simple by asking for their name, email, phone number and a good time to call. You could also feature a drop down menu so they choose whether they want to “buy a property” or “rent a property”. Not only must you feature a handy contact form, but you should also display your contact details, too. Ensure the office phone number is prominently displayed on every page. This will allow a visitor to contact you via phone, email or in writing. It will also ensure a visitor knows where to find your agency. 66% of companies surveyed agreed email marketing offers excellent to good ROI. It’s an effective way to re-engage with past visitors and encourage conversions. It’s also an effective way to boost your brand awareness. Yet, you need to acquire visitors’ emails before you can encourage them to return to your website. An email capture form allows a visitor to quickly enter their email to sign-up to a newsletter. Try to offer an incentive for them to sign-up, such as an exclusive deal they won’t find anywhere else. It’s a great way to connect with customers who are considering buying a property but are not ready to commit. An email could be the one thing that convinces them to pick up the phone and arrange a viewing. That’s why you must regularly market updates, special offers and property insights via email. It will help to keep your brand fresh in their minds. When the time comes to invest in a property, you’ll be their first port of call. Think carefully about the sign-up button on the website, too. The best real estate sites provide a vibrant, eye-catching button with a brief message. If a visitor falls in love with a property, they might want to share it with their friends on social media. For instance, they may want to ask friends for property advice on Facebook. They may even want to tweet a potential house to their partner via Twitter. That’s why it’s important to add social media buttons on different pages across the site. This can boost brand awareness to potential customers and will drive web traffic. You can also increase online visibility and leads by posting properties and blogs on social media. Aim to integrate attention-grabbing social share buttons that harmonize with a web design. The thought of creating a real estate website might be a little daunting. Yet, it doesn’t have to be. It doesn’t matter if you’re a start-up real estate investor or a seasoned pro. You must aim to separate your brand from the average sites on the market. This means building an easy-to-use, aesthetically-appealing, informative website that encourages interaction. All the above tips can help you to become a force to reckoned with in the industry. 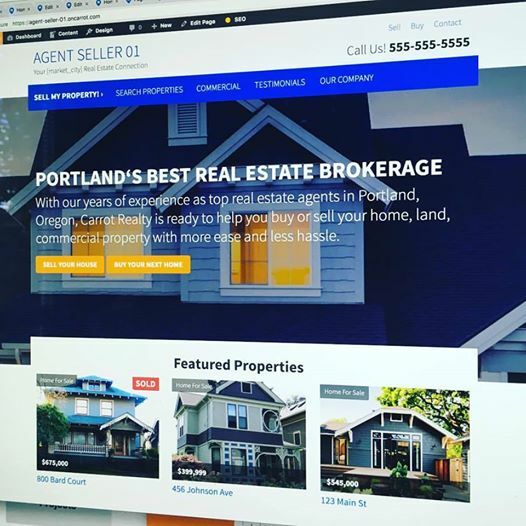 Unsure how to create one of the best real estate websites? We recommend using this Real Estate Investor Website System. It’s the ideal way to create a unique, credible site that will turn web visitors into clients!